CND VINYLUX NO CHIP MANICURE AND PEDICURE SPECIAL! 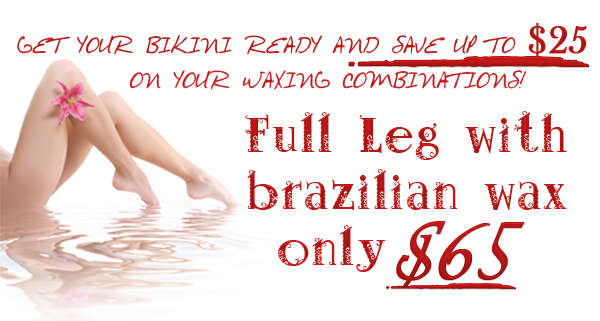 Monday-Friday: 10 a.m.-8 p.m. Saturday and Sunday: 10 a.m.-6 p.m.
Keep up with Dyanna Spa NYC news, spa specials, and promotions on Brazilian wax hair removal. One of the best NY. – Dyanna Nail Salon and Spa, is offering a new callus removal treatment, the “Orange Peel Pedicure”. If you have unsightly dry cracked heels, this pedicure treatment will have your heels looking young and attractive. Hygienic, gentle, yet effective, the Orange Peel Pedicure does not use any sharp blades. Your heels are simply soaked in our special orange peel formula for 10-15 minutes. Afterwards, our cosmologist peels off the calluses with a scraper, buffs off any remaining dry skin, and applies a skin-softening moisturizer. After this wonderful, painless, and relaxing treatment, you receive a regular pedicure. Our pedicurist removes dead skin around the cuticles, then cuts, files, and buffs your toenails. Your feet are now ready for the final touch – application of the nail polish of your choice. Even though you get fabulous results after only one treatment, we recommend that you repeat the orange peel pedicure every two weeks or whenever callused cracked heels begin to reappear. With heels so soft and smooth, you’ll want to indulge in this luxurious callus removal treatment. Now you can wear your summer sandals with confidence, knowing you’re in step with (and likely ahead of) the crowd with pleasing, attractive feet. The cost of the orange peel pedicure is only $35.00 for a 45-minute treatment. Contact us now to schedule an appointment. With the dry winter air and heated rooms and offices, comes the need for skin care treatment for cracked heels. Dyanna Spa and Nail Salon in Manhattan, New York can cure the heel pain and dry skin that results from cracked callused heels using the best skin care products and foot treatments. Our foot paraffin treatment for men and women is a luxurious way to cure cracked heels and heel pain. After a soothing foot massage, our professional estheticians place your feet into a warm, melted paraffin wax bath. Your feet are then covered with aluminum foil or plastic wrap and placed inside special mittens to lock in the heat. The heated wax helps the skin and toenails absorb the wax’s natural moisturizing qualities. The paraffin foot bath is also the perfect pre-treatment for pedicures as the hot wax softens all the skin around the toenail cuticles. Dry skin, standing for long periods of time, and your own weight can cause calluses to form on your feet and heels. After a while, the calluses tend to crack, leaving them open to infection, athlete’s foot, and fungi, causing significant foot pain. The Jelly Pedicure is a perfect foot care treatment for callus removal. Our pedicurist soaks your feet in a basin of jelly-like fluid that hydrates and exfoliates the skin. As the temperature rises, the mixture of essential plant oils comes together to form a gelatin like mixture. Besides feeling amazing, this mixture helps to remove toxins and extract impurities. It also aids blood flow and helps combat circulation problems. This pedicure treatment wonderfully nourishes, moisturizes, and soothes your feet. Contact us today for the best winter skin care treatment for your cracked heels and dry skin. Schedule your appointment now at the best day spa in Manhattan, Dyanna Spa and Nail Salon. Dyanna Spa NYC: Best New York Spa for Holiday Spa Specials And Spa Packages. Dyanna Spa NYC: Best New York Spa for Holiday Spa Specials And Spa Packages For Men And Women. Dyanna Spa, the best New York spa and nail salon is offering holiday specials for men and women, which include a plethora of fantastic spa services and spa packages. The holiday season is supposed to be the season to be jolly, but is it? Almost everyone looks forward to the holidays but if the truth be told, this time of year can put a strain on even the most well adjusted person. That’s where Manhattan’s Dyanna Spa comes in with our mission to get you relaxed, balanced, and in the holiday mood. The weather – it’s turning blustery and cold, making you feel tense as you tighten up your body to stay warm. The holiday rush – the regular crowds and shopping crowds in New York City can be overwhelming taking a toll on your inner ok-ness. Too much stress – work and work at home can be overwhelming and lead to physical problems. Fatigue – with everything going on in your life, there’s not enough time to rest well, even if you get a full night’s sleep. Depression – for many people the holiday season is filled with sad memories. It’s very important to take the time to take care of yourself. Dyanna Spa and Nail Salon in Manhattan, New York, wants to help you do this and to enjoy the holiday season. Our massages, facials, manicures, pedicures, massages, and body treatments will relax you, rejuvenate you, and lift your spirits. To relieve your stress and tension, we have several types of massages to relax you — from deep tissue massage and aromatherapy massage to hot stone massage and Swedish massage. For weather or stress-related skin problems, we have fabulous skin care facials. Treat yourself to one of our facials, like a deep pore cleansing facial or an acne problem skin facial. Your mood can be lifted just by treating yourself to the vast array of manicures and pedicures our nail salon has to offer, as well as the moisture replenishment and protection treatments for your hands and feet. To experience sheer delight, indulge in one of our astounding body treatments. We offer a variety of body scrubs, and wraps, as well as anti-cellulite treatments. If you can’t decide which spa service you want, we can help you out with our spa packages. Not only will you get the best of all worlds, but you’ll also get treatments at even more affordable prices than if you purchased the services separately. You might notice that some of the people in your life could use a little holiday cheer too. Our spa gift certificates make wonderful presents. They are also great gifts if you are short on shopping time or don’t know what to give. Let us help you shake those holiday blues. All you need to do is make an appointment and show up! We’ll take care of the rest. Indulge yourself in our holiday specials at New York’s premier beauty salon – Dyanna Spa and Nail Salon. Dyanna Body And Nail Salon Spa in New York City introduces anti-aging organic olive oil manicure and pedicure services for men and women. Nail Salon Spa in New York City introduces anti-aging organic olive oil manicure and pedicure services for men and women. Dyanna Body & Nail Salon Spa In Manhattan New York – VOTED BEST NAIL SALON IN NEW YORK CITY For MANICURES AND PEDICURES IN 2010 by CitySearch!!! Dyanna Spa in New York City now offers a new service to its clientele — olive oil manicures and olive oil pedicures for men and women. Olive oil has been around for thousands of years, and has been used for its therapeutic value just as long. The very same components that make olive oil such a healthy culinary choice, are the same components that make it beneficial not only for skin and hair, but for nail health as well. 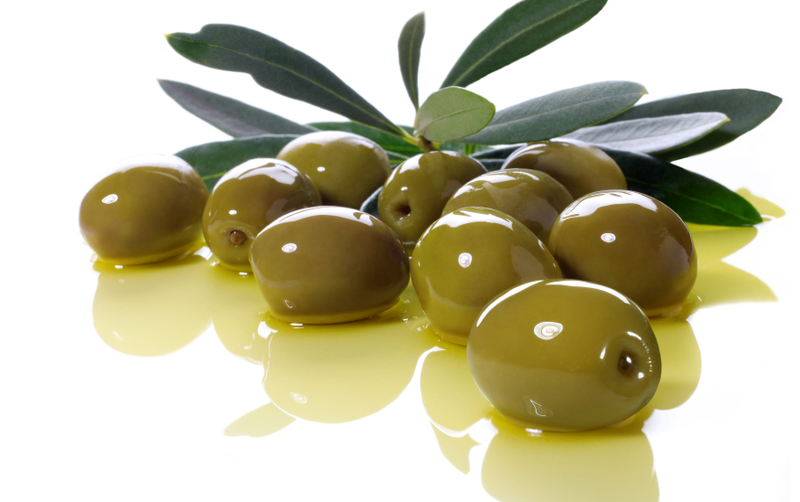 The oil from the tiny olive fruit is a true nutritional powerhouse, both internally and externally. Olive oil is rich in antioxidants, including Vitamin E, and is perfect for dry skin, and weak and brittle nails and toenails. Antioxidants protect us against free radicals, which accelerate the aging process. Our Olive Oil Manicure for men and women is an invigorating, hydrating anti-aging treatment for hands and nails. Our skin care treatment begins with a luxurious milk bath. A rejuvenating exfoliating scrub follows. For the exfoliation, we use a special moisturizing olive oil extract, with an organically derived olive oil lotion to remove the dry, dead skin cells from your hands. After the hand soak and exfoliation process, you receive a full manicure of your choice. We have a huge selection of nail polish, including such industry leading brands as Opi, Essie, and Zoya. Your Olive Oil Manicure finishes with a fabulous organic olive oil butter, a moisturizer that soothes and softens your hands. Our Olive Oil Pedicure for men and women is similar to the Olive Oil Manicure, and it’s the perfect remedy for dry, callused, and tired feet. We begin by soaking your feet in a silky milk bath. Then you get to experience the marvelous exfoliating foot scrub with our special moisturizing olive oil extract and organic olive oil lotion. The next step is a full pedicure of your choice, followed by an application of our organic olive oil butter moisturizer that will leave your feet feeling soft and smooth. Contact us now to get your rejuvenating anti-aging olive oil manicure and pedicure.